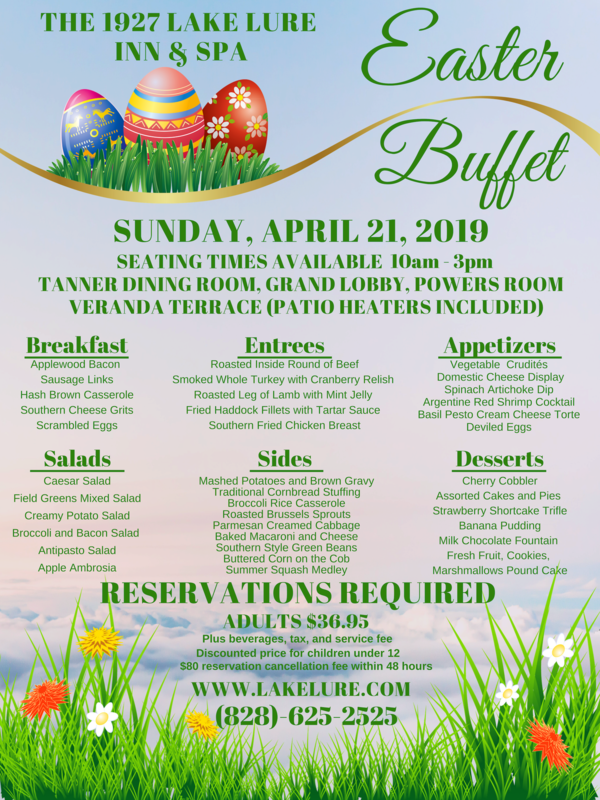 Join us at The 1927 Lake Lure Inn & Spa for our Annual Easter Buffet! Our extensive menu provides something for everyone to enjoy! Celebrate with family at Lake Lure's most historic location.